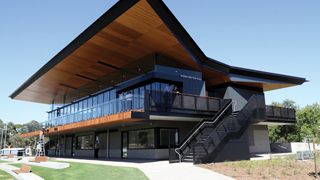 A multi-million dollar redevelopment of the South Australian Cricket Association’s (SACA) Park 25 has seen a new three-storey sports hub created to support grassroots and women’s cricket in Adelaide. 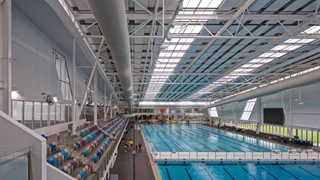 The Ringwood Aquatic Centre closed over 3 years ago and its replacement was well worth the wait. Aquanation, a state-of-the-art aquatic and leisure centre opened to the public on 17 August, providing a refreshing delight for all. 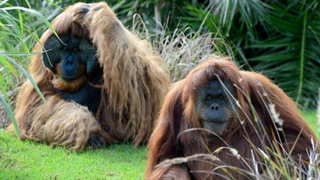 Builder Kane Constructions Vic Pty Ltd.
Adelaide Zoo’s upgrade to the orangutan enclosure will help increase the internal air temperature to allow the breeding pair of orangutans, Karta and Kluet, to be warm during Adelaide’s cold winter months. 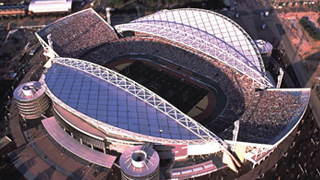 South Australian sports fans receive a bigger and better stadium in the summer. 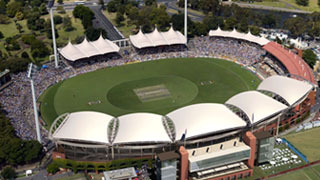 The $535 million redevelopment began in late 2011 and includes two new grandstands, a new international standard indoor cricket centre and oval works. Architect ARUP / W&G (Wallbridge & Gilbert). 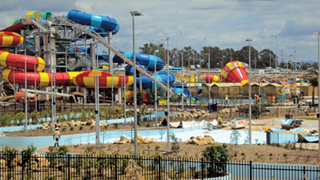 The 25 hectare water theme park features over 40 slides and attractions, including the world’s tallest double Sky Coaster, inland surf beach and a 70m wave pool. Valued at $115m, Wet’n’Wild is expected to host up to 15,000 guests per day. 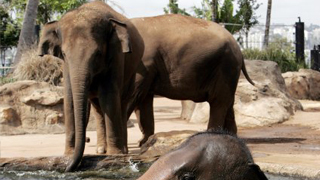 Home to Australia's finest collection of native animals and exotic species, Taronga Zoo amazes, delights and educates more than 1.3 million visitors each year, of all ages and from all corners of the world. One of the most memorable Olympics held in Australia, the 2000 Sydney Olympic Games featured Cathy Freeman lighting the Olympic Cauldron. The main Olympic Flame operated continuously for the duration of the Olympic and Paralympic Games. 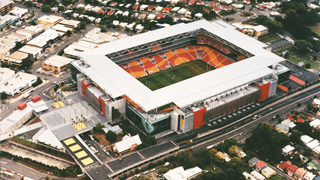 Traditionally known as Lang Park, Suncorp Stadium is the home of Rugby League in Queensland. 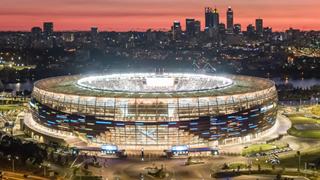 This sporting complex has had a $280 million redevelopment to convert it into a state-of-the-art all-seater stadium. 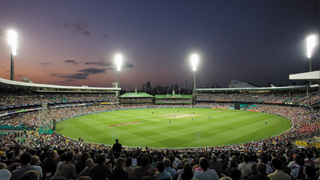 The re-development of the Victor Trumper Stand at the Sydney Cricket Ground will provide an additional 8,700 undercover seats. The stand utilises JetVent impulse ventilation technology within the loading dock and road access tunnel. 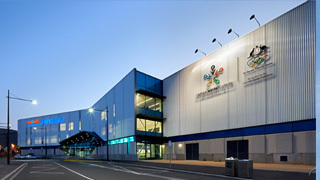 Medibank Icehouse is the only dual-rink facility in Australia and features two Olympic size ice rinks. The 1,000 spectator seating features a specialist sports medicine clinic, which makes this a world class training and competition facility. 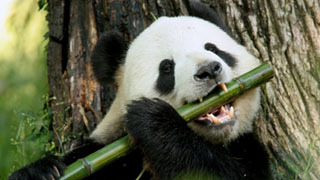 Adelaide Zoo’s new $8 million panda enclosure will host the only two giant Pandas in the Southern Hemisphere, Wang Wang and Funi. 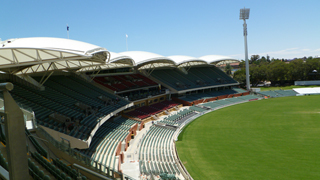 The picturesque Adelaide Oval has undergone a redevelopment that has updated facilities but still retained its charm as one of the world’s great sports stadiums.